For further information on group reservations and sales please contact Chris Arreaga (713-639-4724) or Martine Kaye (713-639-4768). Grab a group of 10 or more and enjoy special discounts on all of the Museums exciting exhibitions and films. 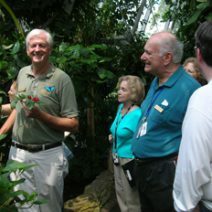 Group rates are available on tickets to the Permanent Exhibition Halls, Wortham GIANT Screen Theater, Burke Baker Planetarium, Cockrell Butterfly Center and HMNS at Sugar Land. Group tickets may be purchased in the online box office or by calling 713-639-4629. To be considered a group and receive discounted group rates, the group must have at least 10 people, make reservations at least two weeks in advance, and complete payment at least 24 hours before the scheduled visit. Educators! Want to Book A Field Trip? 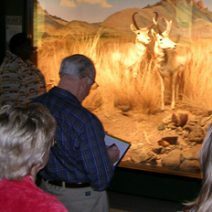 Please visit our Field Trips section. Please Note: A large number of children’s school groups visit the Museum on weekday mornings. 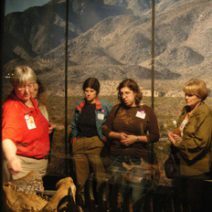 To increase the likelihood of a quiet Museum experience, we recommend adult groups schedule their visit during the afternoons, Monday through Friday, or on weekend mornings.